Russia’s Defense Ministry has published a video of its warships firing cruise missiles from the Caspian Sea to hit the positions of Islamic State militants in Syria. 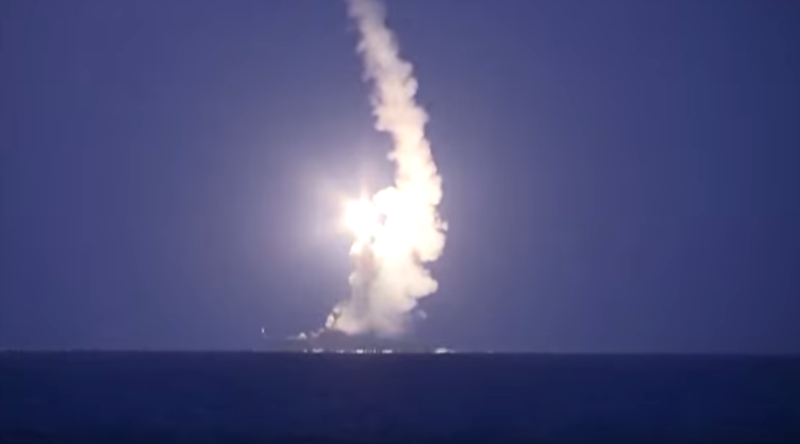 “[Last] night the ship strike group of the Russian Navy, consisting of the Dagestan missile ship, the small-sized missile ships Grad Sviyazhsk, Uglich and Veliky Ustyug launched cruise missiles against ISIS infrastructural facilities in Syria from the assigned district of the Caspian Sea,” the ministry said in a comment under the video. On September 30, Russia launched its military operation against Islamic State at the request of the Syrian government. Since the start of the operation the Russian military have destroyed at least 112 objects, including commanding pints, ammunition depots and armored vehicles belonging to jihadists.